Another year, another report card! 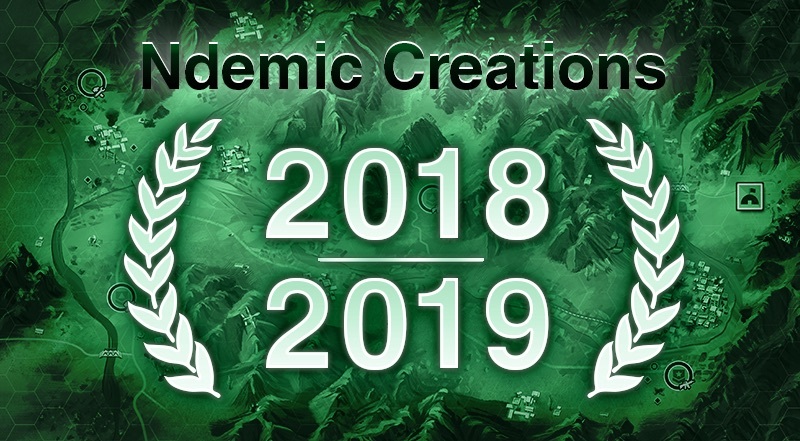 Amazingly, Plague Inc. continues to dominate the charts six and a half years after release and 2018 was a hugely important year for the company as we finally released a new game! 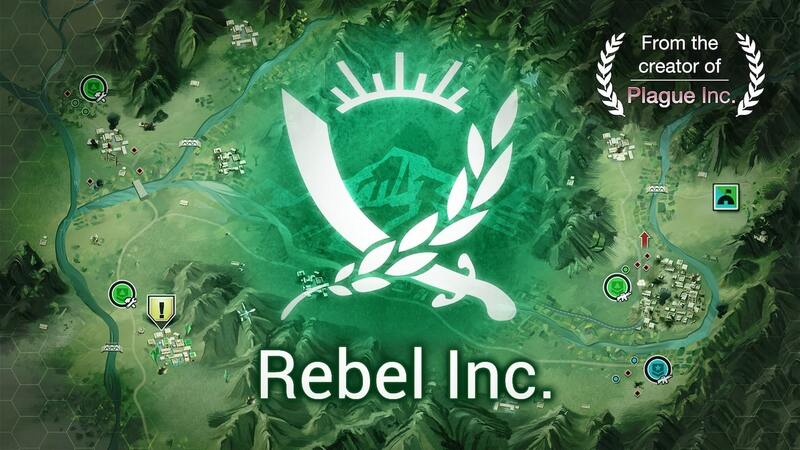 *drumroll* Rebel Inc. is a unique and deeply engaging political/military simulation which offers a thought provoking look at the complexities and consequences of foreign intervention and counter insurgency. I actually had the idea for Rebel Inc. back in 2010. We started development in 2016 and launched in December 2018 for iOS. It was very scary to release a new game (how could anything compare to Plague Inc.?) but I’m pleased to say Rebel Inc. is a major critical and commercial success and now keeps Plague Inc. company at the top of the App Store! Here are some of the key milestones for 2018, notable events from the year, and our plans for 2019. Rebel Inc. launched on iOS and instantly reached #1 in the charts globally. Fun fact: players have wiped out the world 1,839,290,267 times, killing 13,749,239,663,156,000,000 people in the process. Over 120 million players have now been infected with Plague Inc. worldwide! That’s 1.6% of the world’s population! Thank you again to everyone who has made all of this possible! 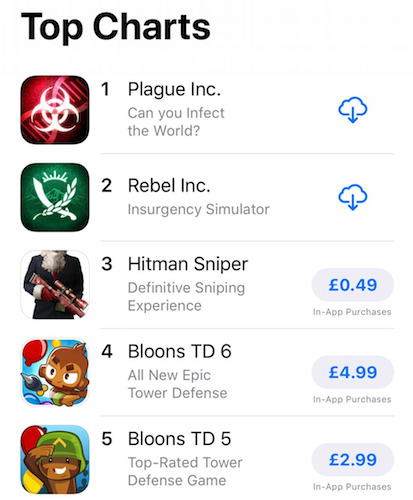 Rebel Inc. released on iOS, firing up to join Plague Inc. at the top of the paid game charts. Rebel Inc. Update 1 launched, bringing customisable operation names and new decisions and events. We won the Queen’s Award for Innovation, an amazing accolade, which saw us receiving a royal visit at Office Zero! 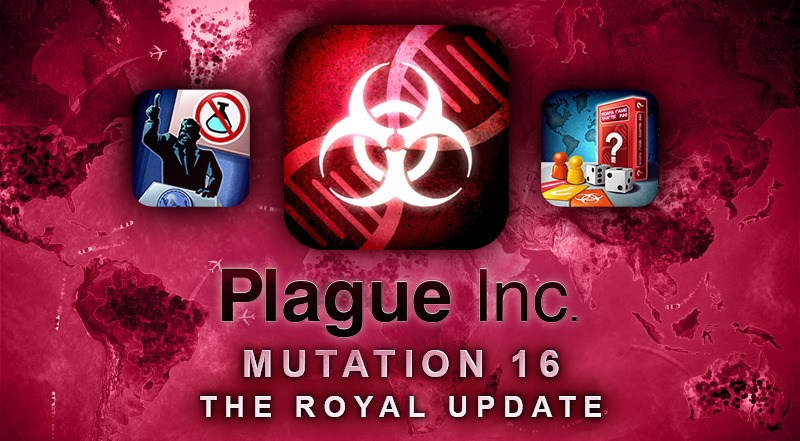 Plague Inc.’s Mutation 16 (The Royal Update) launched across all formats, bringing with it the Ultimate Board Games and Science Denial scenarios. Plague Inc: Evolved went double platinum (selling over 2 million copies on Steam!). Rebel Inc. Update 2 launched in January, and Update 3 is already well under way, bringing a new map and governor to the game. Rebel Inc. is coming to Android very soon indeed. In fact we just announced that it’ll be available as soon as February. An enhanced PC version of Rebel Inc. is in the pipeline (this is something a lot of people have asked us about: we hear you!). New content is coming to Plague Inc. too - we haven’t forgotten Plague Inc.! We’re working on a new Plague Inc: The Board Game expansion. Keep an eye open for news on this very soon. As always, you can be the first to hear about all these things by following us on Facebook/Twitter, or signing up to our mailing list below. Stay healthy and have an excellent 2019!